Mr. Lechtenberger has 35 years of experience in operations and executive management in the energy industry. He joined CITGO Petroleum, Inc., in 1991 with the integration of the Champlin organization. Prior to joining Champlin, Lechtenberger was employed by Exxon Company for 19 years. During his career with Exxon, he held positions in the Benicia Refinery, Colony Shale Project, Carter Mining Company, Exxon Refining Headquarters, Billings Refinery and the Baton Rouge Refinery. 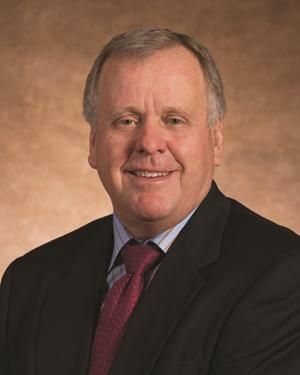 In 2003, he took early retirement as senior vice president of refining and petrochemicals at CITGO and joined the Cherokee Nation Businesses, LLC, as chief executive officer for new business ventures with the Cherokee Nation. In 2005, Lechtenberger relocated to Petroplus Holdings AG in Zug, Switzerland, and continued as chief operating officer and senior vice president of refining through the company IPO concluding his assignment in May 2007. Lechtenberger resumed active board positions with Cherokee Nation Businesses, LLC, in 2007 for gaming and new business ventures. Arkansas Academy of Chemical Engineers, 2010.